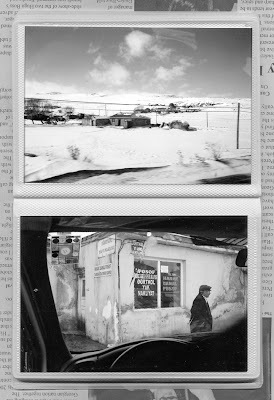 These pictures were taken between Istanbul and Kars (train, 2,000km) and between Kars and Posof (minibus, 200km). 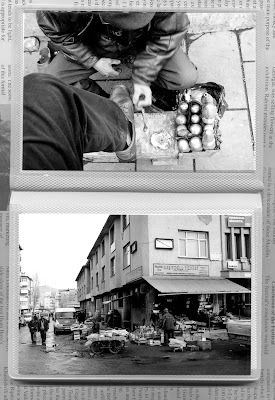 My initial intention was to spend longer in Turkey, but after waiting in vain for the weather to improve I decided to press ahead and return later in Spring. 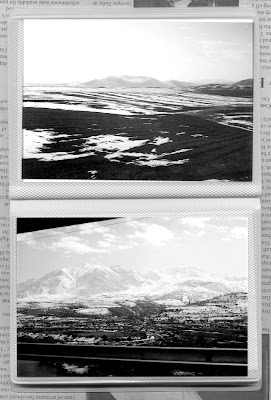 Four views from my compartment aboard the Dogu Ekspresi train, which daily runs the 2,000km from Istanbul to Kars, eastwards across Anatolia. 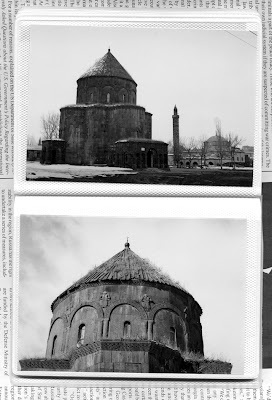 A few shots of Kars, including a shot of myself acting in a rather colonial manner, and two views of the old Armenian church. 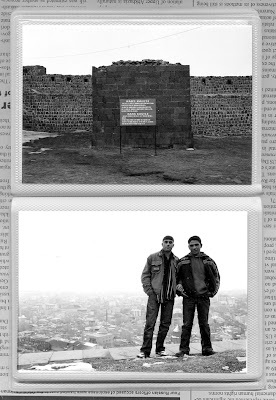 There are no Armenians in Kars now though, obvisouly. The church has been a mosque for some time, and is an official monument under the protection of the Turkish Ministry of Culture. Overall it seems to be in good condition, although I was not able to find anyone to unlock the door and let me inside. 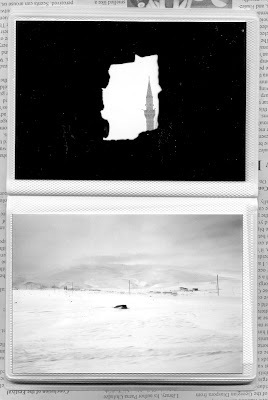 And four views of the road from Kars to the Turkish-Georgian border at Posof/Vale, including the last minaret I saw (from the window of a somewhat rustic loo). 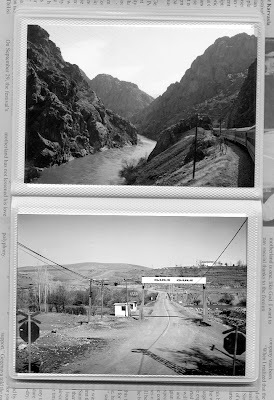 For more information on rail travel to or in or from Turkey, please visit this excellent page, part of the amazing "The Man in Seat 61" website, a triumph of British enthusiasm for travelling by rail. The timetable for the Istanbul-Kars "Mountain Express" train can be found here, on the Turkish Railways website. 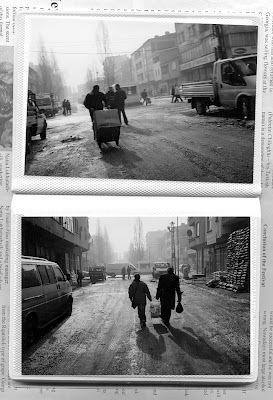 The train leaves Istanbul Haydarpasha Station (on the Asian side) at 08:35 (Day 1), and arrives in Kars at 22:00 (Day 2), stopping at Izmit, Eskishehir, Ankara, Kirikkale, Kayseri, Sivas, Erzincan, and Erzurum along the way. I recommend a private compartment (roughly 70 Euros, sleeps 2) in the first class carriage, especially in winter, when the compartment's radiator is a godsend. The views from the train are absolutely stunning. For more on travel in Turkey, you could also consult Tom Brosnahan's excellent Turkey Travel Planner, or delve deeper into Seat61.com.